Grape Bud Cold-Hardiness Update. Bud losses in Cab Franc observed. 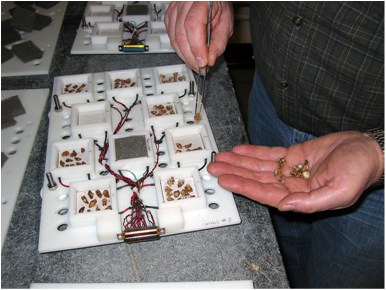 Cut buds placed on thermocouples for placement into in a controlled-temperature freezer. 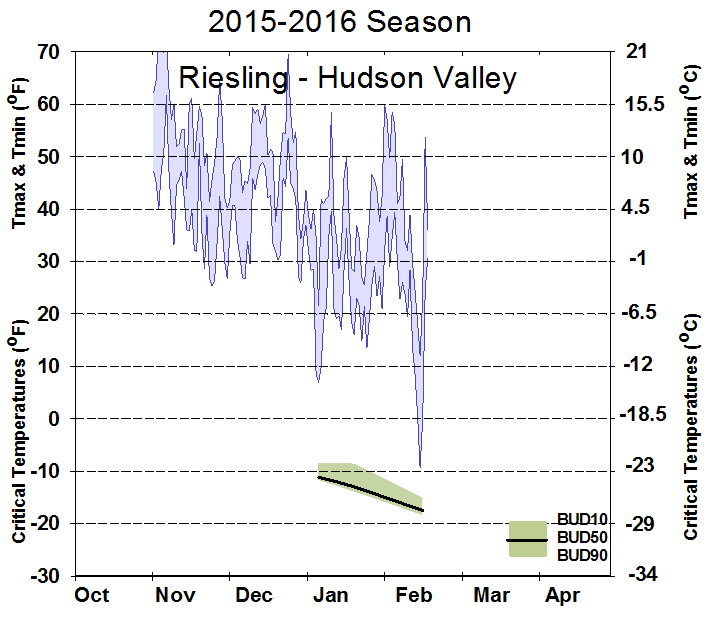 In the best Hudson Valley vineyard sites there will be minimal loss of buds and cane damage to grape to date. 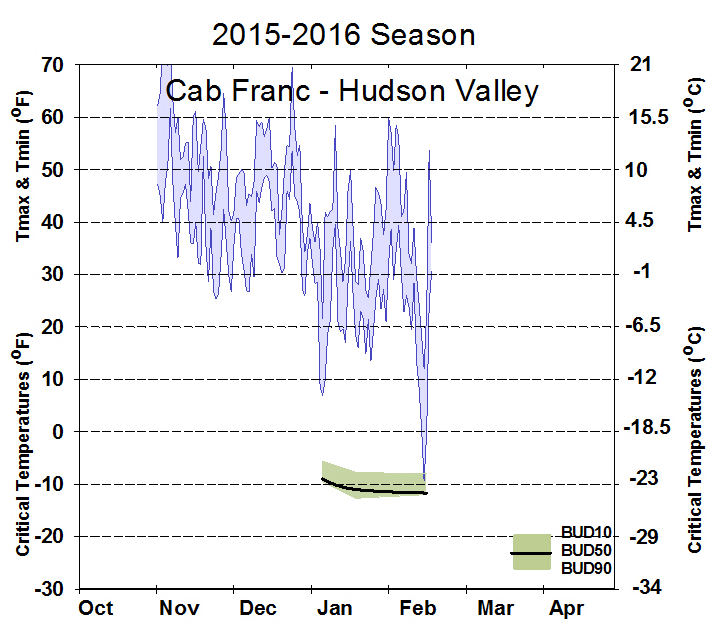 The winter low temperature in Highland, NY was -10.6F, recorded at the experimental vineyard at the Hudson Valley Research Laboratory (considered a good grape site) on February 14th, 2016. From this weeks assessments we have seen 10-40% loss in Cab Franc with likely damage in Riesling given our predicted modeling based of the lowest temperature on the 14th. The loss of buds in cold sensitive varieties will vary considerably depending on site. 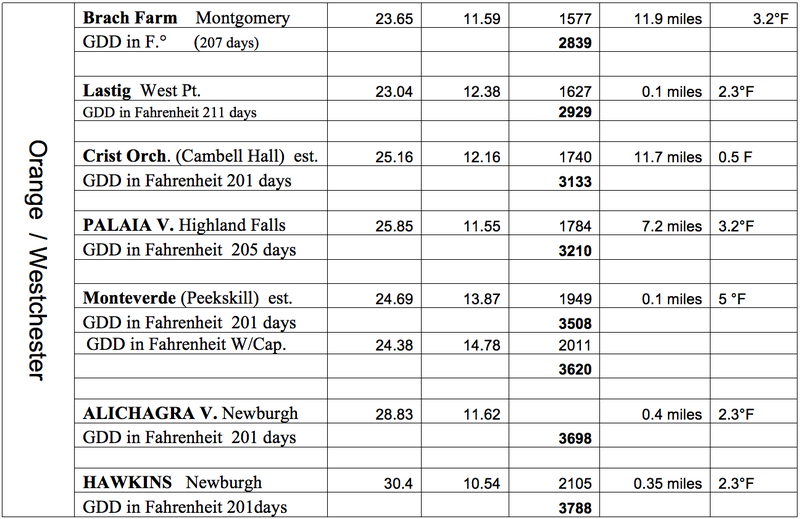 Temperatures in the mid-Hudson Valley predicted to be increase toward 70F highs by 10th of March. 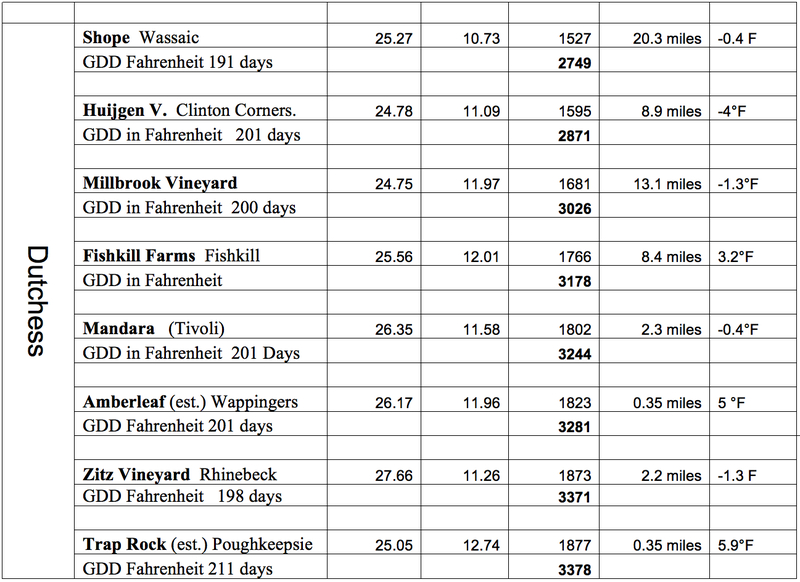 Hudson Valley vineyard site location with regards to growing degree days, site selection & resources to guide perspective vineyardists can be found here. 2016 Bud Cold-hardiness. for Four Representative Varieties. Grape varieties in New York were measured at commercial and Cornell vineyards in the Lake Erie, Finger Lakes, and Hudson Valley regions. * Buds are subjected to differential thermal analysis (DTA), with approximately 30 buds total from the first 8 nodes of at least 5 canes per variety at each sampling date. 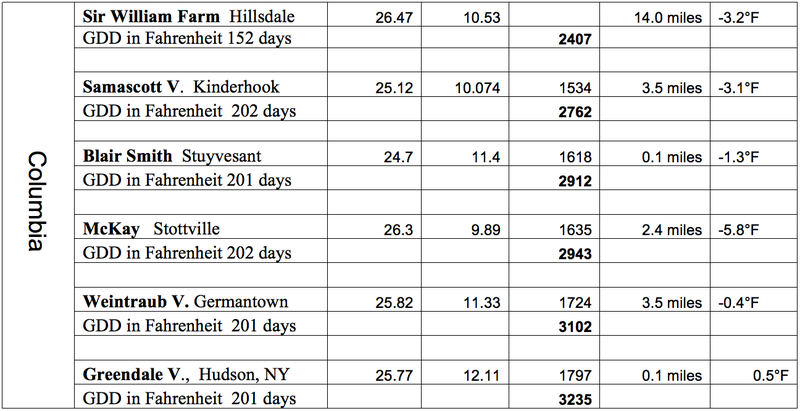 * Most recent LT50 (Median Bud Freezing Temperature) values for each region are listed in separate tables below. * Clicking on a variety name will bring up individual graphs of minimum/maximum temperatures and seasonal change in bud freezing temperatures. * Seasonal Bud Mortality for each variety/site can also be found on the graphs.